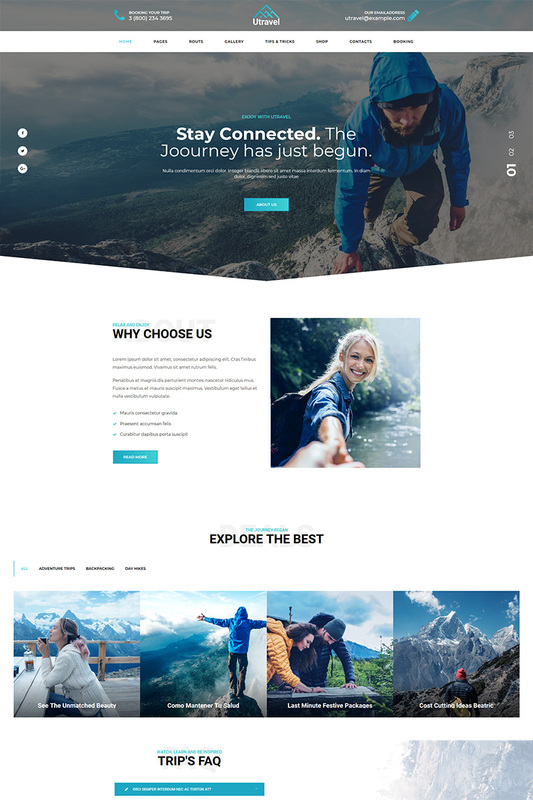 Utravel is our new unique WordPress theme, that was created for hiking club, packpacking, camping, outing activities website, and any other website related to outdoor activities! The theme has all the necessary pages to become a successful representation of your travel business online! We have included easy to follow instructions on how to set up and edit this theme, so youâ€™ll have your site up and running in no time! But in case you get stuck, we will provide you with a 5 star support.